For anyone turning entrepreneur by setting up a restaurant, it is all about passion, planning, setting it up and then running it. Each of these aspects plays a major role in the success of the restaurant. As part of planning, many things, like the locale, the need, the competitor analysis, and the finances required etc. need to be considered. While it is passion that most often drives people to set up restaurants, the actual event of setting it up proves daunting for many. One of the major aspects that drive the finances is the choice of the restaurant equipment. Commercial restaurant equipment is nothing but the whole gambit of restaurant equipment that is required to run a restaurant smoothly. Equipment like refrigerators, ovens, ice machines, fryers, cookers, grills, blenders and many more those help running the kitchen need to be considered. When it comes to setting up the restaurant, the seating considerations, the tables, chairs, booths need to be taken into account. And for storage purposes, you need to also look at cabinets, counters, cupboards and shelves. 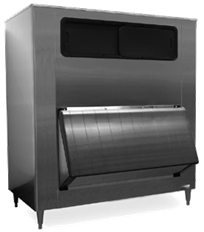 There are many manufacturers for each of the commercial restaurant equipment listed above. So, for anyone looking to make a purchase, the choices are many daunting. There are chances of getting lost. So, it is best to look at options like Chef’s Deal which is a superb one stop shop for all the best quality commercial restaurant equipment. You get to check out all the major high quality brands at highly affordable prices. So, if you have fixed budgets for specific equipment, you may be able to find the best within that. Also, if you are working with low budgets, you may choose to check out the used equipment options. Also, the personnel at Chef’s Deal can help you arrive at the best options, if you wish to, by discussing with them. You will find that, they are not only knowledgeable about the restaurant industry, but also provide highly informative inputs about each equipment. This can help you make the best possible choices. Whether a small business or a large business, working with Chef’s Deal makes it easier for people to set up their restaurants. The whole experience is a pleasurable one and there is a satisfaction in knowing that you are dealing with one of the best in the business. Along with financing options (if you so wish), there are also easy, quick shipping options for the equipment. With Chef’s Deal, you get much more than equipment, you get a consultant who can help you make the best choices to start you on the right foot. If you intend to follow a passion, then concentrate on that and take the help of Chef’s Deal to help set up your dream restaurant. The team at Chef’s Deal can help you bring the dream to reality with very few hassles on the equipment side, which usually happens to be the major part of setting up a restaurant.